Macánta Nutrition Ltd. is an Irish company based in Galway producing high quality nutritional supplements that are available exclusively within Irish Health Stores. The word Macánta itself means honest/sincere, and to us it represents the standard for everything we do as a company. In the design and development of our products, product integrity and quality are the number one priority. We source only the best ingredients and create products that our customers will be assured are helping them to maintain their health as they go about their busy lives. We want to keep it simple by using only the best active ingredients with no nasty additives. We want to give consumers the health benefits they expect from health store products while ensuring that they receive value for money. We believe that your local health store has a very important role to play in supporting the community and your health needs. The standard of knowledge in the areas of natural health and nutrition among staff in health stores is something that you will generally not find in any other retail outlet that sells health products. Their customers trust them, and the valuable advice they have to give. This is why we choose to sell our products exclusively in health stores where we are confident that you will receive the best advice and health products available. You can trust that we are working with your health store to provide you with the products you need made from honest ingredients that could help you to maintain your wellness and that of your family – whatever stage you’re at! All our products are Vegan friendly. We don’t sell the products directly to the public ourselves. We’ve taken the time to carefully choose some reputable and established health store retailers across Ireland to sell our products for us. 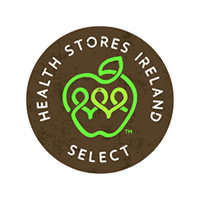 We’re working closely with Health Stores Ireland, the governing body for health stores in Ireland and are proud to be one of the first companies to receive their Select quality mark. If you don’t see a health store in your area, please feel free to contact us or ask your local store to get in touch with us.